Quite a few companies at CES were showing off network storage devices for the home and small office. At the Alien Invasion press event, I saw Buffalo Technology’s, http://www.buffalotech.com, version of the unit called the TeraStation. It connects to your Ethernet network and has gigabit speed capability for high speed data transfer. 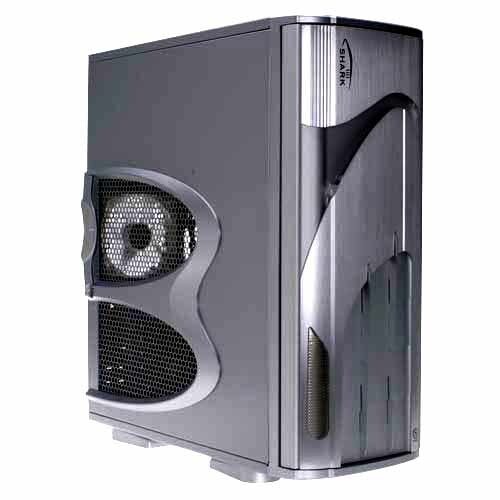 It also has four installed IDE 250 Gig drives that can be configured in a number of different ways. Individually, mirrored, spanned out to 1 terabyte as a single drive, or as a single 750gig Raid 5 drive. It also comes with four USB2 ports for additional storage or use as a print server to create your own network attached printer. Like several other machines we have seen, it uses a Linux type front end to manage the device to be either a network storage device and backup system or if you make it part of your home theater, gives you one terabyte of home theater storage space. Should be available February for $1299. Another company with a different approach to home network storage is Mirra, www.mirra.com. The Mirra Personal Server looks to be the perfect solution for a company or home office needing to make sure that files are continuously backed up. In this approach, you save a file on your computer in a Mirra folder and it immediately saves it to the server. In fact, want those folders available on other computers, Mirra will also do that for you automatically and seamlessly. This is slick stuff. It gets even better if you travel, connect to the internet, you can access and update those same files through a secure internet link. It even keeps track of the different versions of the same file you back up so that if something goes wrong, you can restore an earlier version. For home users, you can also setup to automatically synchronize your pictures to a web site for shared viewing. Available at CompUSA, the 120gig version is $399. A third entry to this field is from Maxtor, www.maxtor.com. Their Shared Storage Solutions is also an external drive attached to your network to allow you to centralize and organize photos and music and data on your home network. Like the TeraStation above, it has two USB2 ports to allow you to add storage or work as a print server for your network. It connects to your network through its single Ethernet port and with the software, you are set to go in just minutes. Organizing files is easy as well because of the Maxtor drag and sort feature that automatically sorts your music, photo, and data files as it identifies more than 100 different windows files types. Available this spring, look for the 200gig version for $299. Quick items from the CES show floor that looked pretty useful or neat. Alestron, www.alestron.com had a biometric fingerprint USB drive called the BioSecure Fingokey. A truly way to keep your information private. How about a backup unit that will cover your home entertainment center, computers, and all the equipment and cables that come with them including cable, DSL, phone line, satellite, and Ethernet. The APC model is S-15 and will be available this summer for around $1499. www.apc.com. 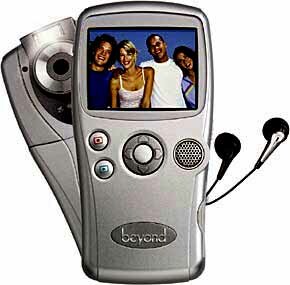 Beyond, www.beyondconnectedhome.com , comes up with a Digital Video Camera and portable entertainment system all in one little box called the e:Pods. Digital camcorder, still camera, music player, voice recorder, web camera, and file storage built in with an SD memory slot makes this a truly fun portable unit. About $249. 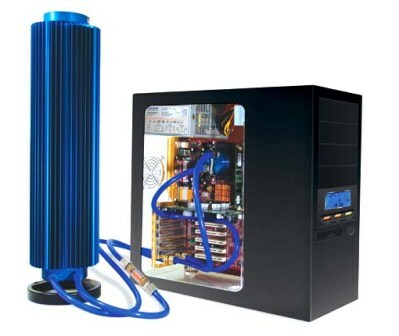 To keep your computer really cool, you need one of Zalman’s www.zalmanusa.com Resorator water systems. For about $239, you too can have a water cooled system running beside your desk. More practical for the rest of us though might be their new line of Ultra Quiet CPU Coolers with variable speed fans making for a much quieter system. The new CNPS7700 has a much larger copper heat sink and is really quiet. About $49. Want a cool system to put that into? Thermaltake, www.thermaltake.com has a series of Aluminum cases that are very good looking, full of features, easy to maintain and upgrade, and will keep your system cool. Their Shark is around $169 and can be found at PC Clubhouse if one is near you. Did you know that there is a difference in batteries? I got corralled by someone at the Energizer booth and I am impressed with the performance of their new e2 Lithium batteries. They handle extreme temperatures better so you can leave spares anywhere not to mention the fact they come with a 15 year shelf life, a third lighter than ordinary alkaline batteries, and best of all, hold their power better to give you much longer life in a digital camera. They claim up to seven times longer than normal alkalines. Tell you what, these will go into my bag for my next overseas trip. http://www.energizer.com/. Also take a look at their compact charger with 4 2500 miliamp AA batteries for just $20.